Hens can stop laying for a variety of reasons but some are more common than others. Fortunately, most laying issues can be fixed by following a few simple rules before and after you purchase your hens. 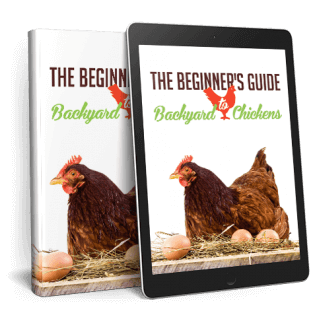 Before you think about buying backyard chickens, you need to give some thought to what you want out of your new hobby. Do you want regular eggs throughout autumn and winter or are you happy to go without eggs for a few months each year? Your answer to this question will greatly narrow your options regarding the breed of hen you purchase because getting it wrong will be expensive. This post is based on one of our live, on-farm presentations which took place on Sunday the 10th of June 2018. We endeavour to provide, free, on-farm presentations on a different aspect of keeping backyard chickens, at regular intervals. A video of the presentation has been posted at the bottom of the page for those that prefer watching to reading. Or, you can watch it on YouTube. The presentation looked at different reasons why your hens might stop laying eggs and we broke the topic down into 5 main areas. For each area, I explained some of the causes and also some ways to remedy the situation if at all possible. It’s quite normal for many purebred hens to stop laying when autumn or winter approaches. It is called “moulting” and it’s often a time when hens will lose feathers and stop laying eggs. This is a situation that is difficult to fix if you have purchased a purebred hen. The only real solution is to purchase a hybrid hen such as a Hy-Line, Lohmann or ISA Brown if you want consistent eggs throughout the year. Hybrid hens have been bred to not shut-down their egg laying and go into a moult during the colder seasons. Another common trait of purebred hens is to go broody. When hens go broody they stop laying and want to sit on eggs all day. This trait can be less or more common depending on the breed of hen. Again, this trait has been largely bred-out of hybrid hens which consequently, don’t make good mothers. Seasonal influences can affect all chickens and not just the purebreds. The short days of winter mean that chickens don’t have the eating time available to them that they do in spring and summer. Less food consumed means fewer eggs produced and is a reason why egg farms use artificial lights to ensure that a constant 16-hour day is provided for their hens irrespective of season. Cold and hot weather can also cause egg laying issues as your hens will tend to eat less in hot weather and drink a lot more. Extremes of temperature also require the hen to burn more energy to either stay warm or cool down which leads to greater demands on their ability to source the nutrition needed for egg production. Adding insulation to your coop can help in both cold and hot weather by moderating the effects of seasonal extremes. Moving or relocating your coop to a shady area can also help a lot in the summer or conversely, into a sunny area during winter. The age of your hens has a large influence on their egg producing ability. Hens older than 18 months of age will tend to lay eggs less frequently and of poorer quality. Both purebred and hybrid hens will lay fewer eggs over time but the difference is that hybrids won’t stop in the winter so you get more good quality eggs, faster. Another reason why older hens have more eggshell quality issues is a hen’s inability to produce calcium (to form the eggshell), at the same rate as the increase in egg size over time. This situation is particularly bad nearing the end of a hen’s first laying season and leads to larger and larger eggs being produced with thinner, easily broken shells. To enable a consistent flow of eggs from your backyard coop, you might need to add young hens to your flock around the Point of Lay (POL), age of 18 to 22 weeks. Doing this every year or so will keep the eggs coming but you will need to pay attention to any integration issues to do with the pecking order. With your older hens, you can also find alternative means of increasing calcium intake such as using a peck block such as Harden Up, adding Vitamin D or providing a coarse shell or limestone grit in a separate feeder. These are all ways to help your hens absorb the calcium that they need to lay as thick a shell as possible despite their old age. Poor feed quality is something that affects egg production to a huge degree. It affects both purebred and hybrid hens and something that many backyard chicken keepers don’t always pay meticulous attention to. A high-grade feed will enable your hens to start laying sooner, for longer and with greater egg size and regularity. Money saved on cheaper feed will often reveal itself in poorer long-term health and reduced egg production. The format of the feed is also very important and a “mash” type feed, or one that is a coarse mix of ingredients, helps keep the gut of the bird that much more healthy and efficient. A “pelletised” feed does not allow the gut of the hen to work as hard and thus improve its ability to extract nutrition from the feed. Feeding too many or low-grade scraps is also a good way of reducing the number and quality of eggs that you receive. Purebred hens are a lot more familiar with eating scraps and foraging but this isn’t as true for hybrid hens. The modern ISA, Lohmann and Hy-Line Brown hens that have been bred over many decades have never received scraps in their breeding program so scraps and foraging are largely unfamiliar to them. They have been fed a very carefully researched and calculated diet though so that they receive all the protein, energy, minerals and trace elements that their refined laying genetics require. Intestinal worms can greatly affect egg laying and health of a hen. They cause egg issues by taking the nutrition that should be going to the hen and her egg production system. Common signs of worm issues are soft egg shells (for a hen younger than 18 months), rough, malformed, white or pointy egg shells and less eggs being produced. Luckily, fixing worms is a fairly easy process and just requires a good deworming product like Piperazine or Levamisole. Our feed-based dewormer is Worms Away and contains Piperazine which is registered for egg laying birds in Australia. Be careful to always treat them twice, 10 days apart and sweeten-up any medicated drinking water as hens typically don’t like the taste of the medication. Fighting an illness can also affect a hen’s laying ability. Dealing with any disease or virus will cause them to direct energy away from egg laying and into battling the illness. This is a great time to provide extra support for your hen by providing good supplements to them such as Vitality Booster or Mother Hen’s Remedy. Issues in your hen’s environment can reduce the number of eggs you receive. Predators such as a fox or an aggressive dog can scare hens causing them to stop laying for up-to 5 days following the scare. Loud noises due to thunder, banging, loud cars etc can all cause a temporary stoppage to their egg laying. Make sure that your coop is safe and secure and regularly check for signs of attempted entry such as digging or forced holes made in a fence or chicken wire. Introducing new hens brings challenges to the “pecking order” and while most of the sorting-out happens within a few days, some hens can persist with bullying behaviour. It’s important that you manage this as best possible and one way is to provide extra sources of food or water for bullied hens, introduce new hens slowly and separate the bully or bullied hens if possible. In the end, if you want regular, high-quality eggs you need to start with a hybrid laying hen and feed her a high-quality diet. With the largest expense by far of any egg farm being the feed that they provide for their hens, it makes sense to provide a good one. Low-grade feed will only serve to save money in the short-term at the expense of the long. Owning chickens shouldn’t only be about having such an interesting and fun pet but also providing your whole family with delicious, regular and nutritious food!